Before the release of Heir of Evil in January, you can catch up with the first book in The Falcon Chronicles' series. 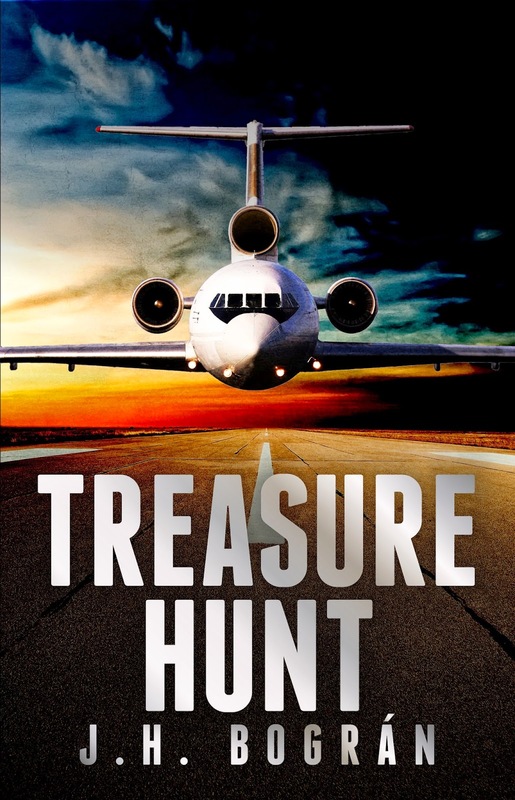 Get your copy of Treasure Hunt for just $0.99 wherever eBooks are sold. The crime that started it all happened twenty years ago. Bill Porter hijacked a plane carrying gold, money and jewels. He was caught but not before he hid his treasure in a place he was sure no one would ever find it. With his prison sentence over, he's anxious to retrieve his hidden goods but with the F.B.I. watching him, he has a problem. Enter The Falcon, a master thief who is happy to help Bill solve his problem, for a cut, of course. The plan is simple. The Falcon finds the treasure and delivers it to Bill's daughter, Jamie. But when others find out about the treasure, The Falcon and Jamie find themselves fighting for their lives as they race to get to the treasure first. The hunt is on in this gripping crime thriller with twists and turns that will keep you on the edge of your seat. Don't miss Treasure Hunt. Start reading today.